When in Montevideo, make a side trip to see Pizzorno Family Estates in Las Piedras, approximately 42 minutes away. Next up on the itinerary: don't miss a visit to Plaza Independencia, wander the streets of Pocitos, admire the striking features of Palacio Salvo, and ponder the world of politics at Palacio Legislativo. 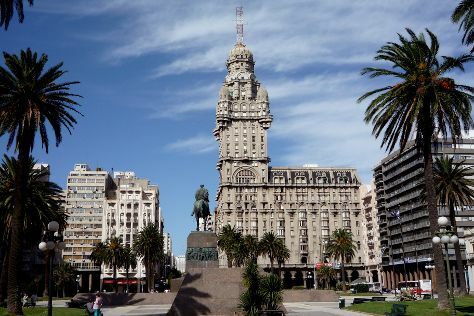 Plan trip to Montevideo with our itinerary maker to find out where to go and what to do. Porto Alegre, Brazil to Montevideo is an approximately 4.5-hour flight. You can also drive; or take a bus. Traveling from Porto Alegre in January, plan for slightly colder nights in Montevideo, with lows around 20°C. Finish up your sightseeing early on the 22nd (Tue) so you can catcht the bus to Carmelo. Founded in 1816 by Uruguayan national hero Jose Gervasio Artigas, Carmelo houses a population of under 20,000, though plenty more come here to enjoy holidays on the banks of the Arroyo de las Vacas River. Kick off your visit on the 23rd (Wed): kick back and relax at Playa Sere, do a tasting at Bodega Campo Tinto, and then do a tasting at Bodega Boutique El Legado. To see maps, more things to do, where to stay, and more tourist information, you can read our Carmelo online tour itinerary planner . You can take a bus from Montevideo to Carmelo in 3.5 hours. Alternatively, you can drive; or do a combination of flight, train, and ferry. January in Carmelo sees daily highs of 33°C and lows of 23°C at night. Wrap up your sightseeing on the 23rd (Wed) to allow time to take a bus to Colonia del Sacramento. Colonia del Sacramento is known for historic sites, museums, nature, shopping, and beaches. Your plan includes some of its best attractions: take a stroll through Barrio Historico, make a trip to La Calle de los Suspiros, explore the activities along Rio de la Plata, and snap pictures at Puerta de la Ciudadela. To find photos, reviews, maps, and other tourist information, you can read our Colonia del Sacramento trip planning site . You can take a bus from Carmelo to Colonia del Sacramento in 1.5 hours. Another option is to drive. In January, daytime highs in Colonia del Sacramento are 33°C, while nighttime lows are 23°C. Wrap up your sightseeing on the 26th (Sat) early enough to drive to La Pedrera. Kick off your visit on the 27th (Sun): enjoy the sand and surf at Beaches at Cabo Polonio, kick back and relax at La Pedrera, and then enjoy the sea views from Faro Cabo Santa Maria. To see photos, ratings, where to stay, and more tourist information, you can read our La Pedrera road trip app . Getting from Colonia del Sacramento to La Pedrera by car takes about 6 hours. Other options: take a bus. The time zone changes from Uruguay Time to Amazon Time, which is usually a -1 hour difference. Finish your sightseeing early on the 27th (Sun) so you can drive to Punta del Este. Explore Punta del Este's surroundings by going to Piriapolis (Cerro San Antonio & Playa Hermosa). There's much more to do: explore the world behind art at Museo - Taller de Casapueblo, try your luck at Conrad Casino, step off the mainland to explore Isla de Lobos, and kick back and relax at Playa Brava. 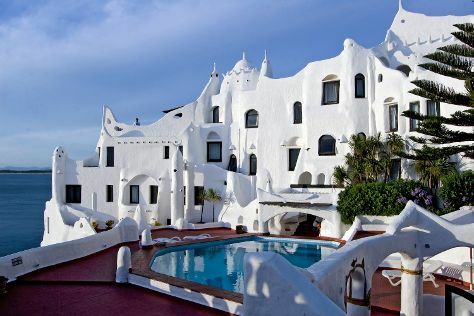 To see other places to visit, maps, traveler tips, and tourist information, use the Punta del Este trip itinerary builder tool . Traveling by car from La Pedrera to Punta del Este takes 2 hours. Alternatively, you can take a bus. The time zone difference when traveling from La Pedrera to Punta del Este is 1 hour. 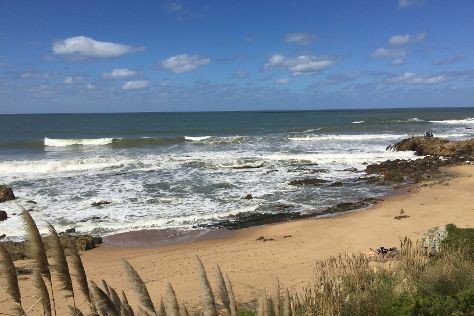 January in Punta del Este sees daily highs of 30°C and lows of 23°C at night. Finish your sightseeing early on the 31st (Thu) so you can travel back home.